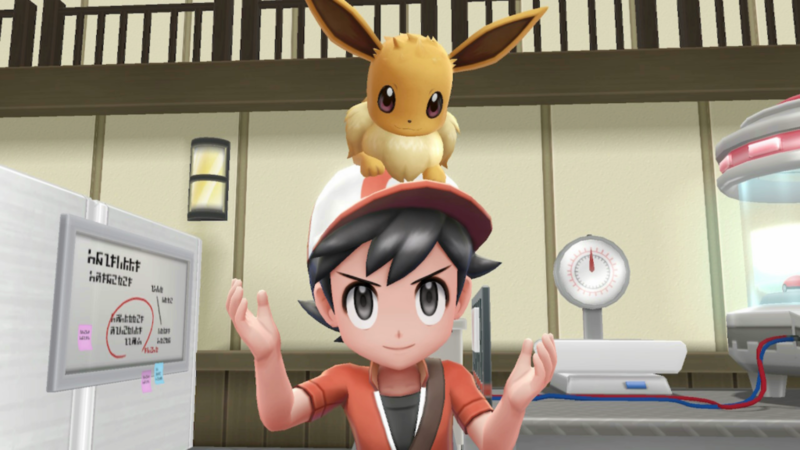 It’s hard to quantify exactly what Pokémon: Let’s Go Eevee (and the less adorable Let’s Go Pikachu) are. They aren’t remakes; In Pokémon, that word has a specific meaning that doesn’t apply to a game removing more than it’s adding. It’s not a reboot either; we know already that a new classic entry is coming out in less than a year. Somehow it’s both a spinoff and not a spinoff. 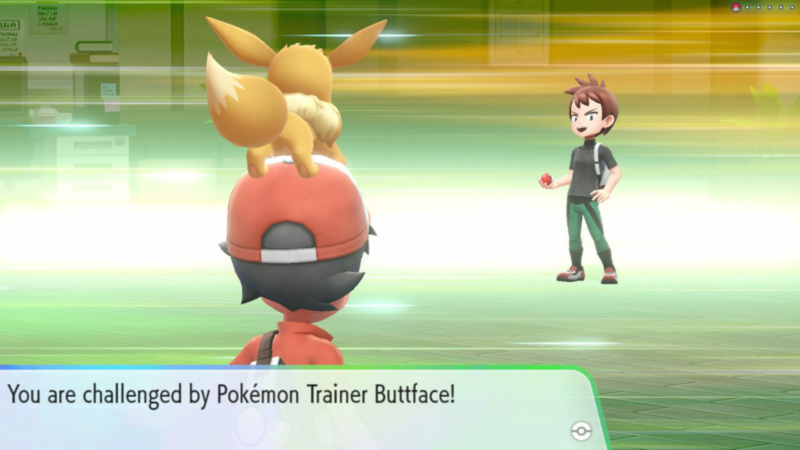 What Let’s Go definitely is, however, is a good thing for the Pokémon franchise. It represents a positive step in maintaining Pokémon’s long-term stability and improvement as a series. Let’s Go is an entry made more for the good of the franchise as a whole and less as a perfect product in its own right. What’s been clear since the reveal is Let’s Go is a watered-down Pokémon experience for newer and younger fans. It’s become a lot more approachable after removing half the battle mechanics like abilities, removing almost all Pokémon added after 1996 and adding simplified catching mechanics from the smartphone game. Fans weren’t happy with the idea of babying their franchise and argued that they learned to play Pokémon when they were children so children can figure it out now. At its core, Pokémon has always been a franchise for children. Game Freak doesn’t need to pander to them even further at the expense of their longterm fans. The thing is, Pokémon is a wildly different beast now than it was in 1996. A lot of people who don’t play the series often chide it for always being the same, but the past 20 years have made the adventure exponentially more complex. 18 types, special and physical attacks, IVs, EVs, abilities, hidden abilities, eggs, egg moves, egg groups, held items, entry hazards, weather effects, mega evolutions, Z-moves, and more have made the franchise grow into a more interesting series, but also increases the barrier to entry. It’s much harder to learn the ins-and-outs of a newer Pokémon game than it was when there were only 15 types. For somebody, be it a child or a gamer who has never tried them before, it’s hard to jump in after 20 years of development for Pokémon. It would be even harder to try playing Pokémon Yellow with 2018’s game art and design standards. And any series, even ones as big as Pokémon, is always in the market more for fans. A bigger fanbase means more people to enjoy the game with, talk about it on Reddit, make fan art, and fill convention centers. It means there will be more people to trade, battle, and adventure together. Even if you don’t care about that at all and only interact with the games, more fans still means more money. After the launch of Pokémon GO, a game that brought Pokémon back to the masses, The Pokémon Company got piles of money. They’re going to use that money to make bigger, better games with more frequency. If you like the Pokémon series, you should like more people getting into it. More fans only help. Bringing a new spark to any franchise older than a decade is rife with risk. In the best scenario, such as The Legend of Zelda: Breath of the Wild, the new innovations revitalize the franchise and give it a whole new identity in the eyes of fans. Some core fans might be upset that it’s different, but the final product is winning awards and bringing joy to millions. But there’s also a worst-case scenario too; sometimes even small changes in a franchise’s established gameplay or setting can bring about ruin. It’s not hard to find these examples, but Mass Effect Andromeda replaced an interesting universe full of historical conflict with a brand new one with nothing going on (among other mistakes too of course) and it didn’t sit too well. Innovation and reinvention are necessary for a franchise to evolve and improve, but it’s risky business that can end in severe franchise damage. Let’s Go provides Game Freak with a safe place to try their new ideas without forcing them into Generation VIII and the next major Pokémon iteration. As upset as people are to see sweeping changes in this half-spinoff, the reaction would be much greater seeing them in the next brand-new region. If it didn’t go well, there would be a whole section of Pokémon history condemned by the people who love it. But because Let’s Go doesn’t have quite as much to live up to, being the second remake of the first generation, it can play with whatever it wants without long-lasting franchise damage. 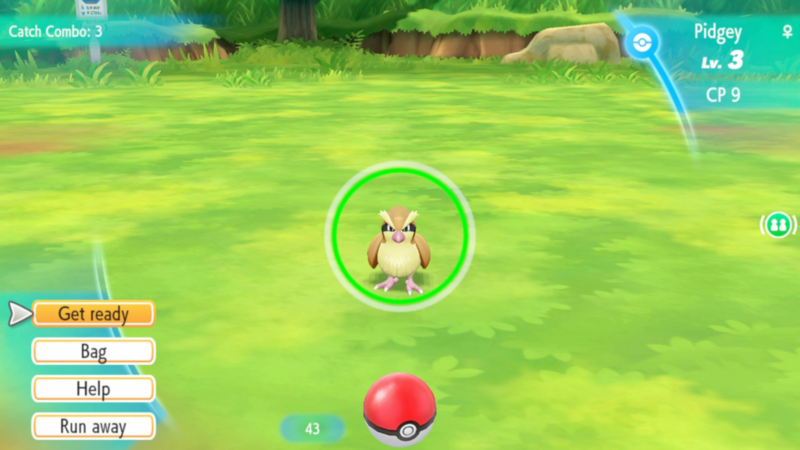 It’s clear reading on Reddit that some of this innovation is paying off; people are thrilled that wild Pokémon wander through tall grass rather than encounter randomly. Other risks, like the absence of wild Pokémon battles, have been met with less praise. I personally find the adjustments to EXP distribution to be a detriment to the game’s balance, but I love the emphasis on the player’s bond with their starting Pokémon. Game Freak will be paying attention to what people say and will change the next installment in the franchise accordingly. Making games is really hard, and Game Freak is no stranger to bad design and technical mistakes. Gen I is full of broken mechanics, unbalanced gameplay, and annoying design. Psychic was unstoppable, pulling double power thanks to the combined special stat and only having a weakness to Bug (which had no good attacks) and Ghost (which had no good attacks and also was programmed wrong so it didn’t damage Psychic at all). The first Pokémon Stadium game, released only in Japan, was a broken garbage fire using different battle calculus and missing half the Pokémon. More recently, the shift from 2D to 3D for XY didn’t remove the grid-based movement system. 3D was different to work with from anything before, and Game Freak failed to realize grid-based movement didn’t fit anymore until Sun & Moon. And now, after 20 years of building games for portable consoles, Game Freak is given the keys to the Switch. It’s likely a different development infrastructure altogether, with more power and its own host of weird programming glitches and quirks. For the first time in 10 years, Game Freak no longer has a second touchscreen to work with. It’s reasonable to expect they would make more than a few mistakes in the transition. Similar to the innovation section above, it’s better to adjust to the new system with a spinoff rather than a new generation. The process of getting a full Pokémon adventure on the Switch will be ironed out and smoother for the next game. The little design mistakes present in Let’s Go, like how the Pokéball throwing mechanics aren’t accessible to some users, will be fixed and changed in preparation for generation VIII. Love it or hate it, Let’s Go is good for Pokémon. It might not be the game for you or I, but it will help the franchise grow and evolve in preparation for the greater things still to come. The next game will be more interesting, more polished, and more popular because Let’s Go was a friendly testing ground to see how the franchise could grow and evolve. Paul spends a lot of time playing games, but spends even more time trying to convince other people to play games. He's always looking to try something new, and is ready to play Mario Party 2 at any time.